When you are selling products online, it is quite important to display the real-time available stock quantity so that customers get an assurance that you (as a store owner) will be able to provide the ordered quantity. This also avoids any kind of confusion on the public store and decreased the possibility of order cancellations. Many online shoppers do appreciate when store sites present correct / accurate information which leads to increase in customer satisfaction. Today, we will go over the process of displaying stock quantity on product page in nopCommerce. One of the most frustrating thing for online shoppers is to place an order on an e-commerce store site and receiving an email that the order has been cancelled because product is out of stock. This can certainly affect the sales / revenue because an angry customer (or online shopper) is never coming back to the store site. 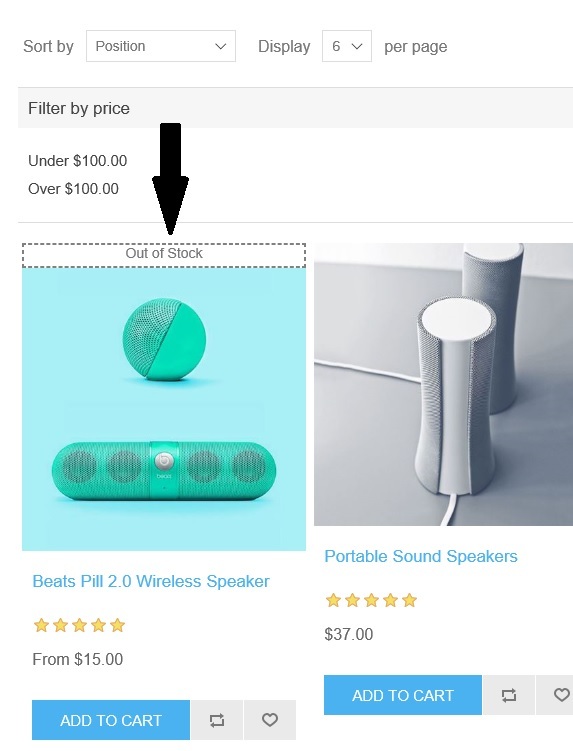 In order to avoid this kind of confusion (or frustration) and eventually losing a customer, it is always a good idea for store owners to display "Out of stock" message if a product is not available. 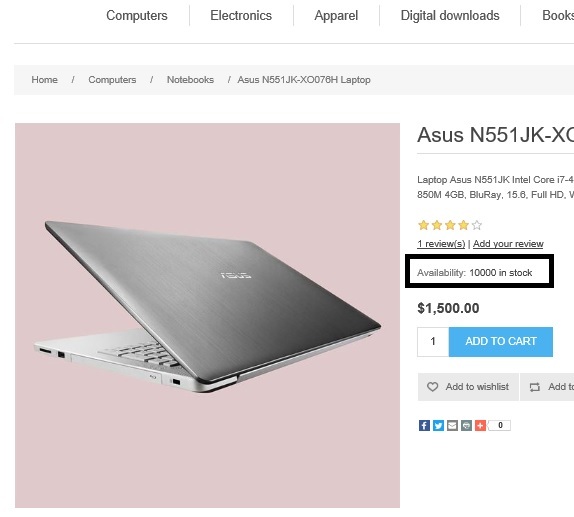 Today, we will go over the process of adding an "out of stock" message on product box in nopCommerce.